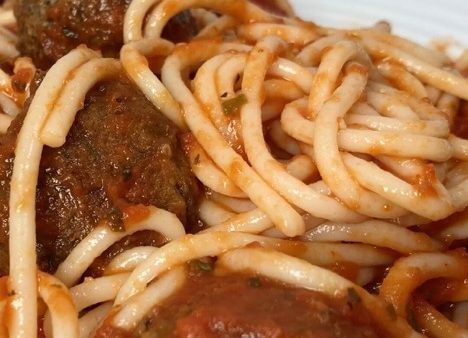 If you’re looking for a healthy alternative to spaghetti and meatballs, this recipe uses lentils for a lower calorie count while still providing an excellent source of protein. In a large pot add garlic, onion, mushrooms and 1/2 cup of water then simmer for 10 mins. To make the flax egg, mix together flaxseed and 4 tbsp of water then set aside for 5 mins. In a food processor add cooked garlic, onion, mushrooms with lentils and bread crumbs. In a bowl mix oregano, basil, red pepper flakes, salt and pepper then add to processor with the flax egg. Process until combined well then roll into small balls and bake on a baking sheet lined with parchment paper at 350 F for 40 minutes, flipping halfway. Enjoy! Plantworthy Food was created to provide video recipes to others that are maintaining a diet which is both gluten-free and plant-based. Through their website they provide video recipes to follow along as well as the written recipes.